Grant Schwalbe has been a firefighter since 1994. He currently works for Estero Fire Rescue (Fort Myers, FL) as a Lieutenant/Paramedic on Engine 43. He is an Instructor for When Things Go Bad, Inc. and for Fort Myers Fire Academy. Grant has taught at various conferences including FDIC, The Orlando Fire Conference, Wichita HOT, Fort Lauderdale Fire Expo and Fire Rescue East. He is the lead instructor for the FDIC HOT program “Residential Search-Making the Grab”. Grant is a regular contributor to Fire Engineering Training Community and has been published in Fire Engineering Magazine. 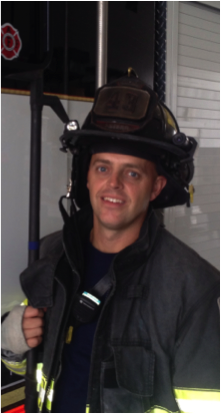 His areas of passion include Search, Engine Company Ops, Firefighter Survival, and RIT. Grant is FL Instructor 3 and has an Associate’s degree in Fire Science a Bachelor’s degree in Business Administration.